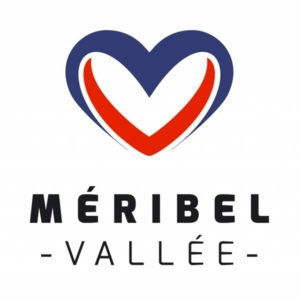 At the heart of the three valleys, Meribel is really where the British ski industry kicked off in France with Peter Lindsay investing and planning the resort from the late 1930’s . This resort along with Mottaret hosts hundred of thousands of Brits every winter, the valley itself is very wide, open and sunny but the main problems you really get here are the queues in the bottom of either meribel or mottaret as people are trying to head up the other side. La Taverne & the Doron Pub , two of the most established institutions in meribel , hosting live music , DJ’s , raffles and madness. Barometer Bar .. always a laid back atmosphere in here . Lodge du Village , higher up in Meribel Village , this is now a firm favourite for all seasonaires and hosts the Charity Day which moved from La Tania. Depending on the time of the year , you will want to plan your day around the sun , now one wants to be skiing back in the cold shadowy runs! One of the big draws are the two parks : DC area 43 snow park and the Moon park … you will be spending a fair amount of time hanging around here ! The Meribel Couloir ( or Death Couloir ) has been slightly toyed with this year and you can now get your ride filmed and posted straight to facebook .. although this has taken the mystic away . On powder days with lots of snow , head into the trees and ski down to Brides les Bains , and don’t miss out on the trees above Raffort. If you have a three valley pass and Meribel / Mottaret is heaving , then head up to Saulire and drop over into Courchevel 1650 and get away from it all ! Jacks bar in the Chaudanne area, that kicks off a lot of peoples après ski , but will go on into the early hours .